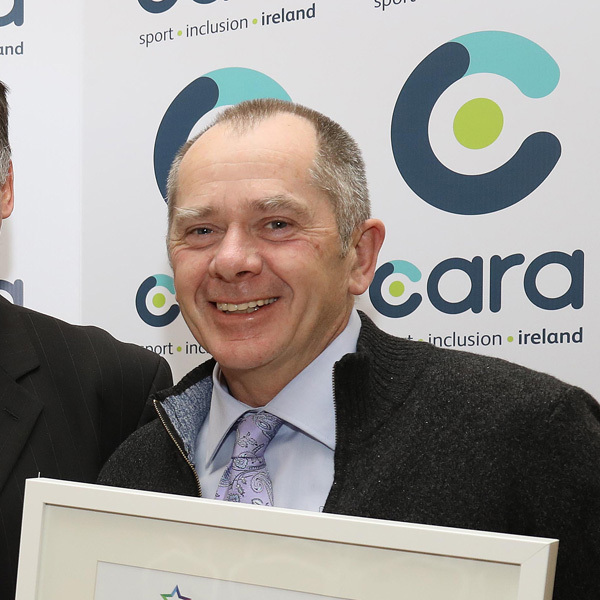 Cara in partnership with Sport Ireland is delighted to host the 2018 National Seminar for Inclusion titled “A Charter for Change”. The soon to be launched Sports Inclusion Disability Charter sets out what people with disabilities say they need to enhance their participation opportunities in sport and physical activity and we are asking you to commit to this charter and make active lives possible, for all. Book early to avoid disappointment and find out about the first-ever Charter of this kind, hear directly from people with disabilities and network, share and learn within an interactive environment. The National Seminar for Inclusion has been a place of great learning and sharing whilst highlighting and discussing areas of importance in sport and physical activity opportunities for people with disabilities in Ireland. We are always encouraged with the huge interest in the event each year. Professionals across the health, education, outdoor, sport, fitness and leisure sectors. Anyone with an interest in enhancing sport and physical activity opportunities for people with disabilities. (The below options are available for attendees to select through online registration. 11.45 A: Putting Policy into Practice: What’s Realistic? How can our new policies address the participation gradient in sport and physical activity for people with disabilities? 11.45 B: Collaboration- A Help or a Hindrance? Community based sport and physical activity programmes for people with disabilities. 11.45 C: Promotion… The Weakest Link? Effective strategies that work in attracting people with disabilities to your activities and programmes… what works? Breakout 2 – Repeat of Breakout 1 options above. A: Putting Policy into Practice: What is Realistic? This workshop will focus on the key actions of the National Sports Policy, Sport Ireland’s ‘Policy on Participation in Sport by people with disabilities and the National Physical Activity Plan specific to enhancing sport and physical activity opportunities for people with disabilities. It will address the key priorities of these policies while outlining current funding opportunities and implementation plans. This is a perfect opportunity to share knowledge and experience of inclusive policy development within your own organisation, and assist you in funding applications. B: Collaboration- A Help or a Hindrance? the decongregration of Disability Services and what this means; the infrastructure required to enhance community participation opportunities, i.e. training and education and facilities and the importance of working in collaboration for greater impact. C: Promotion… The Weakest Link? Why do people with disabilities continually highlight lack of awareness of what is available in their community as a major barrier? This workshop will revolve around a discussion on how to best promote your activities to people with disabilities, the challenges and successes of promotion and what is required to enhance the awareness of people with disabilities in relation to participation opportunities in sport and physical activity. In his current role as Research Director at Sport Ireland, Peter works commissioning and managing research into key sports policy issues, particularly participation in sport to understand the dynamics of participation, who’s taking part, who’s not, the demographics, the barriers to, and motivators of, participation, transitions into and out of participation over the life course, the contribution of sports participation to health, social and economic policy objectives, etc. 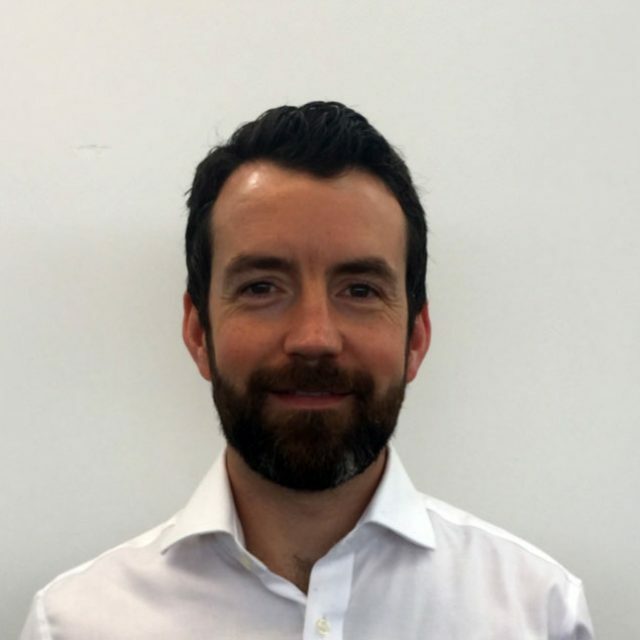 Peter has contributed to the workings of relevant inter-agency groups such as the group tasked to develop the National Physical Activity Guidelines and Plan for Ireland, GP Exercise Referral Steering Group. In 2017, Peter was seconded to Department of Sport to help write the new 10 year National Sports Policy. 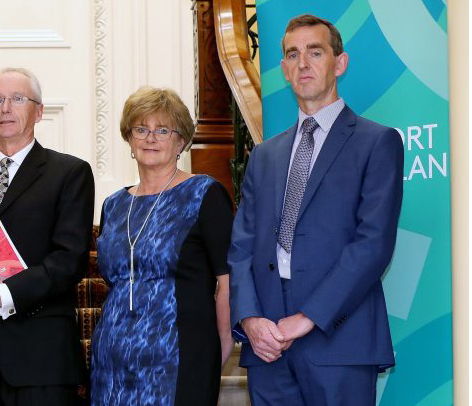 Peter also worked in the Department of Tourism and Sport, managing Department’s legislation programme during the period – Tourism Traffic (Amendment) Act 1998 and Irish Sports Council Act 1999. In recent years Terence has focused his attention to the design and implementation of a structured administrative system which supports the effective delivery of physical activity and sports supports for the individuals supported by Cope Foundation. In doing so, he has worked closely with other organizations and especially the Sports Inclusion Disability Officer of Cork Sports Partnership in order to develop a dynamic, cohesive and forward thinking network of mainstream sports clubs, disability organizations, community agencies who together foster an environment where people of all abilities can increase their participation rates in and enjoyment from physical activity and sports. 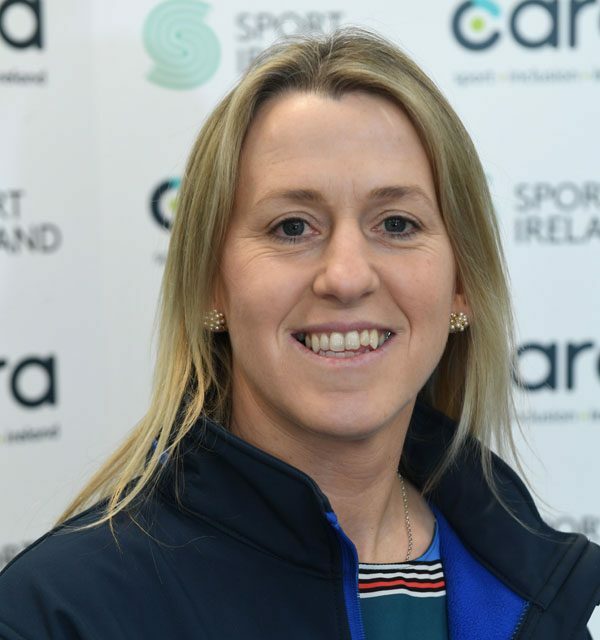 Aimi has a Master’s Degree in Nutritional Science (UCC) and prior to her job with Gymnastics Ireland, she worked for 7 years in Health Promotion with the National Dairy Council. 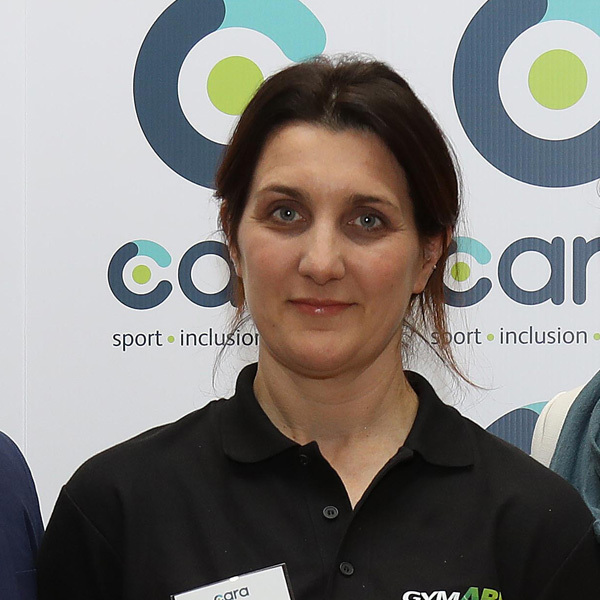 As part of her current role as Gymnastics Ireland Participation Manager, Aimi has recently headed up the new Disability Gymnastics Programme – GymABLE. The main objective of this programme is to provide opportunities for people with disabilities to access gymnastics and a key part of this has been the promotion of disability gymnastics to gymnastic clubs, coaches and families, as well as the wider community. Aimi is a native of County Wexford, enjoys coaching and tutoring gymnastics and is an avid mountain biker in her spare time. Benny Cullen started his career as an engineer, working for an international consultancy designing facilities for the 2004 Athens and 2008 Beijing Olympic games. Benny followed his passion for Sport when he joined Canoeing Ireland, where he was a key driver of the training and education frameworks, club, industry and event development as well as facility development and the Blueway concept. 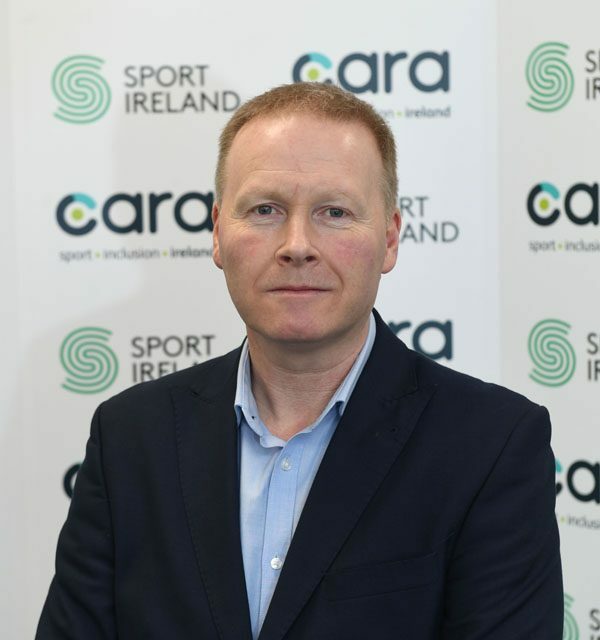 Benny now works with Sport Ireland where he manages the Partnership Unit which invests in, and supports, the network of Local Sports Partnerships to develop, facilitate and promote sports participation in Ireland.